Draft: 2004, Chicago White Sox, C1th rd. Giovanny Aramis Gonzalez (Gio)...Is a graduate of Monsignor Pace (FL) High...While at Monsignor Pace, was a two-time member of the Miami Herald All-Dade Baseball Team and the Florida Sports Writers Association's All-State Team...Pitched in the state championship game as a freshman and as a sophomore...On Jan. 8, 2013, hometown of Hialeah, FL celebrated "Gio Gonzalez Day." Put together a season that garnered National League Cy Young Award attention (finished sixth) and worthy of All-Star status (was inexplicably let off the NL squad)...Gonzalez (5th, 2.96), coupled with Max Scherzer (2nd, 2.51) and Stephen Strasburg (3rd, 2.52), helped the Nationals become the first team with three starting pitchers ranking in the top five in the National League in ERA in 21 years (since the 1996 Atlanta Braves), according to the Elias Sports Bureau ... Washington was the first team in MLB to do this since the 2002 Boston Red Sox...Gonzalez' 15 wins, 1.18 WHIP, 2.96 ERA, .216 opp. AVG, and 22 quality starts were his best marks since his first season in Washington...In addition to ERA, he also ranked in the NL in opp. SLG (3rd, .345), opp. AVG (5th, .216) and opp. OBP (9th, .298)...Against left-handed batters, ranked among MLB starting pitchers in opp. SLG (1st, .256), opp. AVG (3rd, .183), and opp. OBP (4th, .251)...Was stingy with runners in scoring position, ranking first in NL (second in MLB) with a .175 opp AVG w/RISP...Posted a then team-best 17.0 scoreless innings streak from July 26 to Aug. 9...Gonzalez went 5-0 with a 0.79 ERA (3 ER/34.1 IP), 25 strikeouts, one home run and a .175 opponent AVG during a five-game winning streak, July 31 to Aug. 26...That five-game winning streak matched the longest of his career (May 5-27, 2012)...Posted a 0.79 ERA (3 ER/34.1 IP) with a .175 opp. AVG during the streak...Flirted with a no-hitter on July 31 at MIA (8.0 IP, H, 3 BB, 5 SO) in Washington's 1-0 win...Surrendered a ninth-inning single to Marlins 2B Dee Gordon, breaking up the bid...Tossed a season-high 8.1 innings on July 14 at CIN (8.1 IP, 4 H, 2 BB, 6 SO). In his fifth season in a Washington uniform, recorded his seventh straight 10- win season...Tied Dodgers ace Clayton Kershaw for the second-longest active streak of 10-plus win seasons among left-handed pitchers (David Price - 8)... Ranked among qualified NL left-handed pitchers in opp. OBP (3rd, .326), opp. SLG (3rd, .404), opp. OPS (3rd, .730) and opp. AVG (4th, .262)...Posted a 1.86 ERA through his first seven starts, the fourth-best ERA to start a season (eight starts) in team history (2005-pres)...He recorded a 3-1 record in that span...Struck out a season-high 10 batters on June 9 at CWS...Tossed a season-high 7.0 innings on four separate occasions...When throwing at least 7.0 IP, went 2-1 with a 1.93 ERA (6 ER/28.0 IP)...Struck out 30 batters, walked just six and held opposing batters to a .158 average in those four outings...Earned his 100th career win, Aug. 27 vs. COL Joined Max Scherzer (6/26/15 at PHI), Jason Marquis (5/10/11 at ATL) and Livan Hernandez (5/9/05 at ARI) as the only pitchers to record their 100th career wins as members of the Washington Nationals. Went 11-8 with a 3.79 ERA in 31 starts...Posted double-digit win total for the sixth straight year...Joins Clayton Kershaw, David Price and Mark Buehrle as only left-handed pitchers to win at least 10 games each of last six seasons...Led Major League starters with a career-low eight home runs allowed...Ranked second in MLB with 0.41 home runs per nine innings...His 0.41 home runs per nine innings matched a career low mark (2012)...From June 21 to August 10, went 5-0 with a 1.48 ERA (8 ER/48.2 IP) in eight starts, culminating with his best start of the season in Washington's 8-3 win on August 10 at LAD (8.0 IP, 7 H, BB, 6 SO)...Finished strong down the stretch, going 2-1 with a 2.38 ERA (9 ER/34.0 IP) in six September starts...Struck out 42 batters over that stretch, including matching a career-high with 12, Sept. 16 at PHI. In his third season in the Nation's Capital, he posted just 10 wins but was the victim of low run support... 3.62 runs per nine innings of offensive support was lowest among Nationals starters...If qualified, it would rate as the eighth-lowest in NL...Battled left shoulder inflammation that resulted in the first DL stint of his career (May 18 - June 18)...When starting, Washington went 16-11...Posted 3.18 walks per nine innings, the lowest ratio of his career...9.19 stikeouts per nine innings were his best since 2012...Closed strong, posting quality starts in final seven starting assignments and going 4-1 with a 2.48 ERA in five Sept. starts...Struck out a career-high 12 batters in his final regular-season start of the season, Sept. 25 vs. NYM...With 10, posted double-digit win total for fifth straight year...Only other lefties to do this: C.J.Wilson, C.Kershaw, D.Price, M.Buehrle... Fanned Rickie Weeks, in the 3rd inn. on July 20 vs. MIL, to become the first pitcher to record a 1000th career K as a National...Started Game 4 of the NLDS (4.0 IP, 4 H, 2 R, 0 ER, BB, SO). In 2nd season in DC, finished 11-8 with a 3.36 ERA and paced the Nationals with 192 strikeouts in 32 starts...when starting, Washington went 19-13...21 quality starts matched Jordan Zimmermann for team lead...11 wins ranked 2nd among Nationals and were trumped by only Jordan Zimmermann (19)...12 of 17 home runs allowed were solo shots...was touched for 5 first-inning home runs...closed strong, going 4-2 with a 1.99 ERA in season's final 6 starts (Aug. 29-season's end)...struggled with offensive support, received one or less runs of support (while in the game) 14 times in 32 starting assignments (44%)...posted a 2.87 ERA in 16 starts in DC...7 of 11 wins came against NL East foes (3 vs. MIA, 2 vs. NYM, 2 vs. PHI, one vs. ATL)...was almost equally stingy with RISP (.222) and runners on base (.223)...thrice matched career high with 11 strikeouts (June 19 at PHI, July 20 vs. LAD, July 25 vs. PIT)...ranked among NL leaders in batting average against (8th, .231), hits allowed per 9.0 innings (10th, 7.77) and strikeout rate (10th, 8.83). Was an All-Star for 2nd straight year and led MLB with 21 wins in first NL campaign...posted a 2.89 ERA in 32 starts and finished 3rd in Cy Young Award voting...became the first DC-based lefthander to win 20 games since Earl Whitehill won 22 in 1933...fanned 207 to become the first DC-based hurler to eclipse the 200-strikeout plateau since Walter Johnson (228) in 1916...the 207 K's ranked 3rd among MLB southpaws and-combined with a career-low walk rate (3.4 per 9.0 innings pitched-begat a career-high strikeout-to-walk ratio (2.7/1)...NL-best 12 road wins ranked 2nd in MLB...started 30+ games for the 3rd straight season...paced the NL in wins, strikeouts per 9.0 innings (9.3), batting average against (.206), OPS against (.582), slugging percentage against (.299) and home runs rate (MLB-best 0.41 per 9.0 innings pitched)...also ranked among NL leaders in hits per 9.0 innings pitched (second, 6.7), K's (fourth), complete games (tied for fourth, 2), ERA (sixth), winning percentage (sixth, .724) and WHIP (eighth, 1.13)...in season's first "half," went 12-3 with a 2.92 ERA in 17 starts, but pitched even better (2.86 ERA) after the All-Star break...strong September (4-1, 1.74) helped the Nationals hold off the Braves...was named NL Pitcher of the Month for May (5-0, 2.25 ERA, 5 starts)...on January 15, signed a contract extension through 2016, which includes options for '17 and '18. The A's lone All-Star registered 2nd consecutive fantastic campaign, finishing 16-12 with a 3.12 ERA in 32 starts ... ranked 3rd in AL in opponents' slugging percentage (.336), 4th in wins, 4th in strikeouts per 9.0 innings (8.78), 4th in percentage of swings that miss (25.3%), 9th in strikeouts (197), 9th in batting average against (.230) and 10th in ERA ... also paced the AL with 91 base on balls ... ranked third among MLB qualified southpaws by fanning 8.8 per 9.0 innings (behind C.C. Sabathia and Cliff Lee) ... led the A's in wins, ERA, walks and strikeouts ... the 197 K's were the 5th-most in Oakland history and the most since Barry Zito tallied 205 in 2001 ... the 8.78 K's per 9.0 ranked 2nd in Oakland annals behind only Todd Stottlemyre's 8.80 in '95 ... was first Athletic to post consecutive 15-win seasons since Mark Mulder (2003-04) ... 10 home wins tied for the AL lead ... ranked fifth in the AL in ERA at the All-Star break, and tied for 3rd thereafter ... posted as many or more strikeouts than innings pitched 18 times in 32 assignments. Began the season as the A's fifth starter but ended up finishing second on the team in wins, posting a 15-9record with a 3.23 ERA in a team-leading 33 starts...was the only Athletic to spend the entire season inthe starting rotation...entered the season with a 7-11 record and 6.24 ERA in 30 games, 24 starts, overhis first two seasons...tied for fourth in the American League in games started, ranked fifth in opponentsslugging (.329), eighth in ERA, 10th in opponents batting average (.229) and tied for 10th in wins...ledthe A's with 171 strikeouts and 92 walks...his walk total was second highest in the AL...also led the A'sin innings pitched (200.2)...yielded just 15 home runs for an average of 0.67 per nine innings, whichwas 10th lowest in the AL...also ranked 10th in the AL in pitches (3369)...was 7-6 with a 3.79 ERA in18 starts before the All-Star Break...then went 8-3 with a 2.59 ERA in 15 starts after the break...rankedfourth in the AL in post-break ERA and tied for fourth in wins...had an 8-3 record, a 2.56 ERA and .199opponents batting average in 16 starts in Oakland, compared to 7-6 with a 3.92 ERA and .257 opponentsaverage in 17 starts on the road...had the lowest home opponents batting average in the majors andranked eighth in the AL in ERA and tied for ninth in wins...his opponents batting average broke down to.209 (37 for 177) against left-handed hitters and .235 (134 for 571) against right-handers...yielded a .188batting average and .234 on-base percentage to hitters leading off an inning...the on-base percentagewas second lowest in the AL while the batting average was third lowest...allowed a .204 batting averagewith the bases empty and .267 with runners on, although that dropped to .239 with runners in scoringposition...held the opponents number three hitter to a .176 average, which was second lowest in theAL...posted a 7-1 record and a 2.58 ERA in 11 starts against AL West teams, 8-8 with a 3.55 ERA in 22starts against everyone else...his career numbers are 10-3 with a 2.94 ERA (38 er in 116.1 ip) againstdivisional foes and 12-17 with a 5.23 ERA (126 er in 217.0 ip) against all other teams...was 7-1 witha 2.17 ERA and .192 opponents average in 11 starts during the day, 8-8 with a 3.86 ERA and .249opponents average in 22 starts at night...ranked second in the AL in day ERA, tied for third in wins andfourth in opponents average...is now 10-4 with a 3.69 ERA (49 er in 119.2 ip) in 20 career appearancesduring the day, compared to 12-16 with a 4.84 ERA (115 er in 213.2 ip) in 43 games at night...receivedrun support of two runs or fewer in each of his nine losses and had just six total runs of support in thosestarts (45.2 ip, 1.18 RSA)...has 18 runs of support in his 20 career losses (94.0 ip, 1.72 RSA)...is 21-4in 36 career starts with run support of two or more and 1-16 in 21 starts with support of one run orfewer...the A's were 19-14 (.576) in his starting assignments and are 30-27 (.526) in his career...tossedsix or more innings in 25 of his 33 starts, allowed two runs or fewer 19 times and walked two batters or fewer 13 times...did not allow a run in eight starts...since 1975, the only A's pitcher with eight starts ina season without allowing a run is Mike Moore in 1989. OAKLAND: Went 3-3 with a 4.08 ERA over his first seven starts through May 12...then enjoyed athree-game winning streak from May 17 to June 6...compiled a 2.97 ERA and .208 opponents battingaverage during the five-start stretch...combined with Andrew Bailey on a three-hit shutout in the A's1-0 win over San Francisco May 22 in Oakland...tossed a career-high 8.0 innings and allowed two hitswhile walking one...retired each of the final 20 batters he faced and the first two in his next start May27 at Baltimore...lost consecutive interleague starts June 11 at San Francisco and June 16 at Chicago,allowing a combined 10 runs on 14 hits in 10.1 innings...that increased his overall record at 6-5 witha 4.21 ERA...then went 9-4 with a 2.53 ERA over his final 19 starts beginning June 21...had the thirdlowest ERA in the AL over that stretch (Hernandez, SEA 1.48; Scherzer, DET 2.20)...was 3-1 with a3.34 ERA in five starts in July...the ERA was his lowest of any month until he went 3-2 with a 1.98 ERAin six starts in August...tossed his first career complete game, a six-hitter in the A's 4-1 loss at ChicagoAug. 1...struck out a career-high 11, his second career 10-strikeout game...allowed all four runs in thefifth inning...won four consecutive starts from Aug. 24 to Sept. 8 to match the longest winning streakof his career...had a 1.75 ERA and .208 opponents average during the streak...combined with Wuertzand Blevins on a five-hit shutout in the A's 5-0 win at Cleveland Aug. 24...won all three of his startsagainst Cleveland in 2010, not allowing a run in 20.2 innings...the last pitcher to make at least threestarts against the Indians without allowing a run is Bob Welch, who did it for Oakland in 1989 (21.0innings)...is now 4-0 with a 0.89 ERA in five career starts against the Indians...also combined withWuertz, Rodriguez and Ziegler on a five-hit shutout in the A's 8-0 win over Los Angeles Sept. 3...had hiswinning streak snapped Sept. 14 at Kansas City when he allowed a season-high seven runs in a seasonlow2.0 innings...picked up his 15th win in his final start of the season at Seattle Sept. 30, pitching 7.0shutout innings and tossing a career-high 118 pitches. Began the season at Triple-A Sacramento and had two one-game stints with Oakland before returningfor a third time June 24...spent the remainder of the season in the starting rotation and was 6-7 witha 5.75 ERA in 20 games, 17 starts, overall...had 109 strikeouts, which ranked fifth among AmericanLeague rookies and was the seventh-best total by a rookie in Oakland history...tossed just 98.2 inningsfor an average of 9.94 strikeouts per nine innings...based on a minimum of 90 innings pitched, that is thebest ratio in Athletics history, topping the previous high of 9.77 by Wes Stock of the 1964 Kansas CityA's...using the same minimum, he ranked third in the AL and fifth in the majors in 2009 in strikeoutsper nine innings...however, he issued 56 walks for an average of 5.11 per nine innings, which led the ALand was second highest in the majors (Snell, PIT-SEA, 5.15)...now has 143 strikeouts and 81 walks in132.2 career innings for an average of 9.70 strikeouts and 5.49 walks per nine innings...allowed a .288batting average, including .271 (81 for 299) against right-handed hitters and .340 (32 for 94) againstleft-handers...yielded six home runs in 94 at-bats against lefties (1 per 15.7 at-bats) and eight in 299 atbatsagainst righties (1 per 37.4 at-bats)...had a .649 slugging percentage against lefties and .414 againstrighties...opponents hit .288 with the bases empty and .287 with runners on...allowed a .269 opponentsbatting average over his first 60 pitches in a game and .321 after that...his career numbers are .253 overhis first 60 pitches and .322 after that...was 4-2 with a 4.69 ERA in 10 games on the road, compared to2-5 with a 6.75 ERA in 10 starts at home...allowed 11 of his 14 home runs in Oakland...compiled a 7.27ERA in both May and June and a 7.48 ERA in July, giving him an ERA over 7.00 in each of the first fivemonths of his career...then went 2-3 with a 4.54 ERA in six starts in August and 2-1 with a 4.50 ERAin four starts in September...is now 4-5 with a 4.68 ERA (31 er in 59.2 ip) over the last 11 starts of hiscareer after going 3-6 with a 7.52 ERA over his first 19 career appearances, including 13 starts...was6-4 with a 3.84 ERA (33 er in 77.1 ip) in 14 starts on five days rest or less and 0-3 with a 16.97 ERA (22er in 11.2 ip) in three starts on six or more days rest...the Florida native was 5-2 with a 2.84 ERA (13 erin 41.0 ip) in seven starts with a game time temperature of 72 and above and 1-5 with a 7.88 ERA (42er in 48.0 ip) in his other 10 starts, including 0-2 with 12.42 ERA (23 er in 16.2 ip) in four starts with atemperature of 62 or less...had a 6.49 ERA and allowed 12 of his 14 home runs in the first through thirdinnings...posted a 4.94 ERA from the fourth inning on...the A's were 9-8 (.529) in his starting assignments...tossed at least 6.0 innings in just seven of his 17 starts, allowed two runs or fewer six times andwalked two or fewer seven times...as a reliever, he allowed all three of his inherited runners to score andfirst batters faced were 1 for 3 with two RBI. Was one of three players acquired from the Chicago White Sox in the Nick Swisher trade in January and spentthe first four months of the season at Triple-A Sacramento before making his Major League debut with the A's inAugust...was named the A's seventh best prospect by Baseball America following the season...was selected onAugust 6 and placed in the A's starting rotation where he went 1-4 with a 9.32 ERA and .265 opponents battingaverage in seven starts...was moved to the bullpen following his start on September 8 at Detroit and did not allow arun while holding the opposition to a .105 batting average in three relief appearances (6.0 ip)...was 1-4 with a 7.68ERA in 10 games, seven starts, overall...the ERA was fourth highest in Oakland history among pitchers with 30 ormore innings pitched and was the highest since Willie Adams had an 8.18 ERA in 1997...held the opposition to a.242 batting average but 19 of the 32 hits he allowed were for extra bases (eight doubles, two triples, nine homeruns)...yielded a .538 slugging percentage...struck out 34 batters in 34.0 innings but also issued 25 walks...tossed709 pitches and faced 163 batters, an average of 4.35 pitches per batter faced...his opponents batting averagebroke down to .194 (7 for 36) against left-handed hitters and .260 (25 for 96) against right-handers...allowed allnine of his home runs to righties and six of those came with runners on base...allowed a .194 opponents battingaverage the first time through the lineup and .292 after that...compiled a 10.50 ERA over the first four innings of agame and 0.90 ERA from the fifth inning on...opponents hit .200 with the bases empty and .308 with runners onbase...the A's were 2-5 in his starting assignments...tossed more than five innings in just one of his seven starts,allowed fewer than four runs once and walked two batters or fewer twice. With Birmingham of Double-A Southern League, paced all of minor league baseball with 185 strikeouts in return to the White Sox organization...paced the Southern League in batting average against (.216), baserunners allowed per 9.0 innings (10.5) and strikeouts per 9.0 innings (11.1), while 3.18 ERA ranked 4th...posted 5 double-digit strikeout efforts despite never working more than 7.0 innings in any start. Was 7-12 with a 4.66 ERA (80 ER/154.2 IP) and 166 strikeouts in 27 starts with Class AA Reading ... wasnamed to the Eastern League midseason All-Star Team ... his 166 strikeouts ranked second in the EL and 12thamong all minor-leaguers ... averaged 9.7 strikeouts per 9.0 IP, third-most in the EL ... was the youngest EL pitcherto spend the entire season on an active roster (20) ... led the league in home runs allowed (24) and walks (81) ...participated in MLB All-Star Futures Game at PNC Park in Pittsburgh ... was named Phillies Minor League Pitcherof the Week for 4/6-16 after not allowing a run in his first two starts (12.0 IP) ... struck out a season-high 12 batterson 6/13 at Erie (7.0 IP) ... won three straight decisions from 8/2-19, allowing five earned runs in 24.0 IP (1.88 ERA)... went a season-high 8.0 IP in a victory on 8/8 vs. Bowie (2 ER) ... was 0-2 with an 8.64 ERA (16 ER/16.2 IP) overhis final three starts ... played for Peoria of the Arizona Fall League, going 0-0 with a 2.81 ERA (5 ER/16.0 IP) and20 strikeouts in six starts ... was the starting pitcher in the AFL inaugural "Rising Stars Showcase." ... Sox acquisitionwas recommended by Gary Pellant, Doug Laumann, John Tumminia and Daraka Shaheed. Split the season between Class A Kannapolis and Class A Winston-Salem, going 13-6 with a 2.82 ERA(41 ER/131.0 IP) and 163 strikeouts in 24 games (23 starts) ... lead all White Sox farmhands in strikeouts and tiedfor second in ERA ... was named to the South Atlantic League mid-season All-Star Team ... averaged 11.2strikeouts per 9.0 IP ... twice was named SAL Pitcher of the Week (4/7-17 and 5/30-6/5) ... did not allow a run inhis first two starts (11.0 IP) and in five of his first 10 outings ... was promoted to the Warthogs on 6/17 ... tied forsecond on the club in victories ... was 4-1 with a 1.41 ERA (5 ER/32.0 IP) over his final five starts. Combined to go 2-3 with a 2.70 ERA (17 ER/56.2 IP) in 13 games (12 starts) between Advanced RookieBristol and Class A Kannapolis ... averaged 10.0 strikeouts per 9.0 IP ... allowed 47 hits, an average of 7.5 per 9.0IP ... was rated by Baseball America as the No. 7 prospect in the organization and the No. 5 prospect in theAppalachian League ... among the Sox 2004 draft class, was cited by the same publication as having the BestBreaking Ball, Best Fastball and Closest to the Majors (with Josh Fields) ...allowed only one home run at the twostops ... was promoted to Kannapolis on 7/29 ... struck out 11 batters over 5.1 IP on 8/21 at Lakewood ... wasrecommended/signed by Jose Ortega (White Sox). April 22, 2019 Scranton/Wilkes-Barre RailRiders released LHP Gio Gonzalez. March 20, 2019 New York Yankees signed free agent LHP Gio Gonzalez to a minor league contract and invited him to spring training. March 20, 2019 LHP Gio Gonzalez assigned to Scranton/Wilkes-Barre RailRiders. 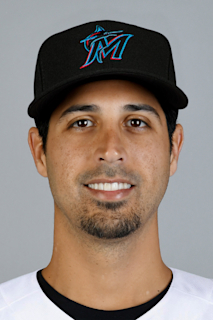 October 29, 2018 LHP Gio Gonzalez elected free agency. September 1, 2018 Milwaukee Brewers activated LHP Gio Gonzalez. August 31, 2018 Washington Nationals traded Future Considerations and LHP Gio Gonzalez to Milwaukee Brewers for 3B Gilbert Lara and 1B KJ Harrison. August 7, 2017 Washington Nationals activated LHP Gio Gonzalez from the paternity list. August 5, 2017 Washington Nationals placed LHP Gio Gonzalez on the paternity list. June 18, 2014 Washington Nationals activated LHP Gio Gonzalez from the 15-day disabled list. June 6, 2014 Washington Nationals sent LHP Gio Gonzalez on a rehab assignment to Potomac Nationals. June 24, 2009 Oakland Athletics recalled Gio Gonzalez from Sacramento River Cats. May 19, 2009 Oakland Athletics optioned Gio Gonzalez to Sacramento River Cats. May 18, 2009 Oakland Athletics recalled LHP Gio Gonzalez from Sacramento River Cats. May 4, 2009 Oakland Athletics optioned Gio Gonzalez to Sacramento River Cats. May 2, 2009 Oakland Athletics recalled Gio Gonzalez from Sacramento River Cats.